For the past week or so leading up to our Global Village trip to Guatemala, I have posted prayers for myself and my team on my social media channels. I've received as many positive engagements from friends that are standing with us in prayer as I have lost connections with those who may have been offended by my prayer posts. Yesterday I said I would explain why my daily prayer posts are so important. Each prayer is tailored the way they are because there are genuine concerns and needs. Traveling outside of the U.S. carries risks, even when you are an experienced traveler. We take as many necessary precautions as we can and we equip our teams with resources to help make their trip as rewarding and safe as possible, however, no matter how much you plan, sometimes things happen. Our prayers for safety aren't just random posts to flood social news feeds to make us look holy and righteous or earn us sympathy points. During my first visit to Guatemala back in 2013, I was walking into our hotel lobby in Quetzaltenango when a gentleman I did not know or recognize called me by name. I was curious about how he knew me and of course, I was shocked. He explained that he knew my name and recognized my face because his cousin in Guatemala City emailed him my picture and said I would be in Quetzaltenango building houses. Keep in mind that I don't know anyone who lives in Guatemala City. This total stranger knew my name, my business in the country and had received my photo by his relative - someone I've never seen or heard of in my life. That incident really showed how small social media makes the world. 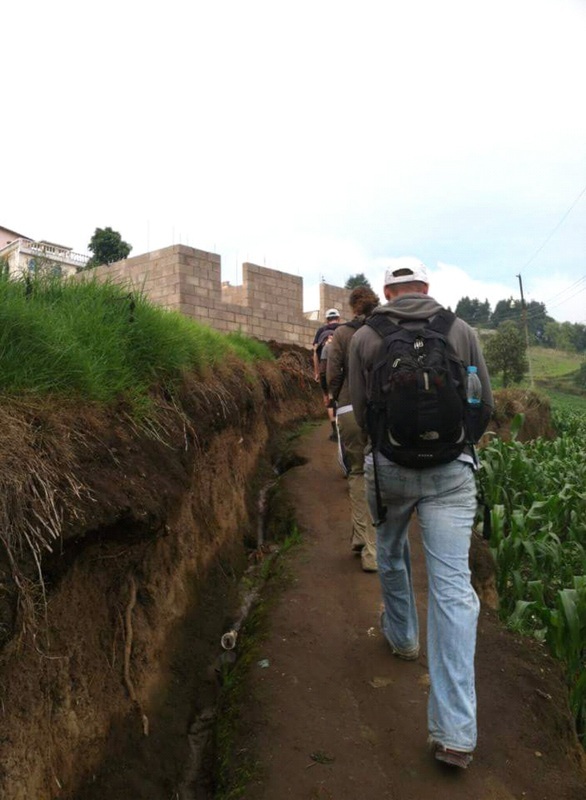 As a Global Village team leader, my recruiting efforts for volunteers for my teams span five continents as we try to diversify our group and connect with as many people as possible who are interested in helping us build homes, community and hope. 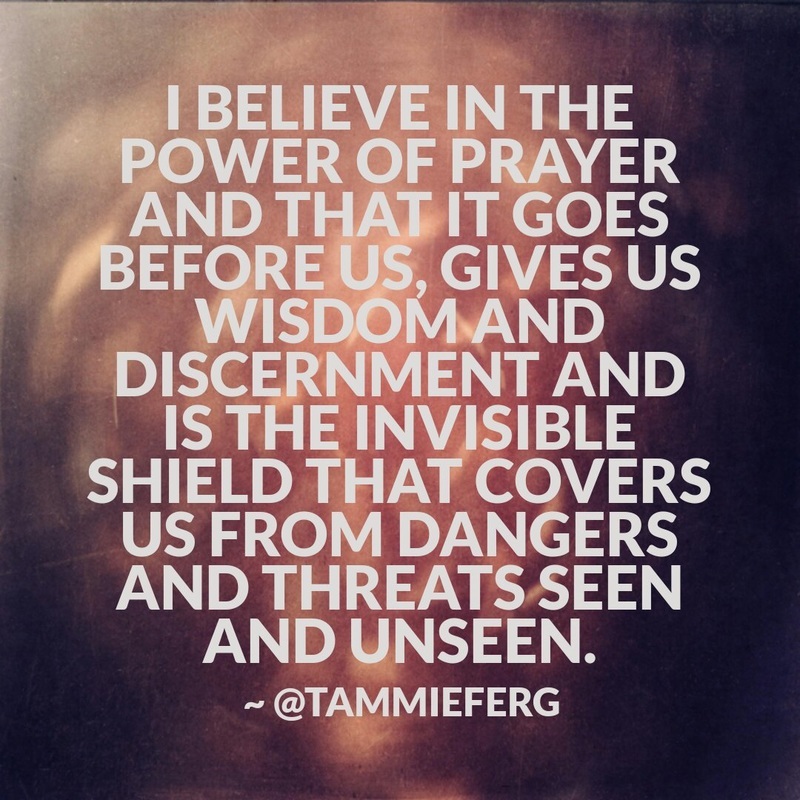 I believe in the power of prayer and that it goes before us, gives us wisdom and discernment and is the invisible shield that covers us from dangers and threats seen and unseen. It's like our spiritual passport, giving us access to protection, provision and positioning as we serve in the mission field. Serving on a missions trip transforms the heart. Over the years, my Global Village teams have been comprised of volunteers who know and serve God and even those who do not. On our trips, we do not evangelize or proselytize, but I want to be sensitive to the beliefs and spiritual needs of my teammates. Also, we set aside time during our trip to share in Devotions as a team. My desire is to always say and do what brings glory to God while communicating our mission of helping build a better world. Every prayer matters and is appreciated. Thank you to all who prayed and continue to lift up our mission in prayer. I believe in the power of prayer and that it goes before us, gives us wisdom and discernment and is the invisible shield that covers us from dangers and threats seen and unseen. "No Meetings Required, Just Doing The Right Thing"
In 2012, I set up my new Share.Habitat online fundraising site and nervously sent out the link via Facebook in hopes of raising enough money to cover my $1,460 trip fee to help build two homes in the Dominican Republic on my first Habitat for Humanity Global Village trip. Alice Lonetree, who was a member of Lawton First, the church we attended while stationed at Fort Sill, Oklahoma, made a $20 or 25 online donation. When I wrote to thank her, her response was something like, "Just doing the right thing. No meetings required." Such simple words but what an incredible lesson on how each of us can make a difference and it doesn't take a million dollars or 'an act of Congress'. 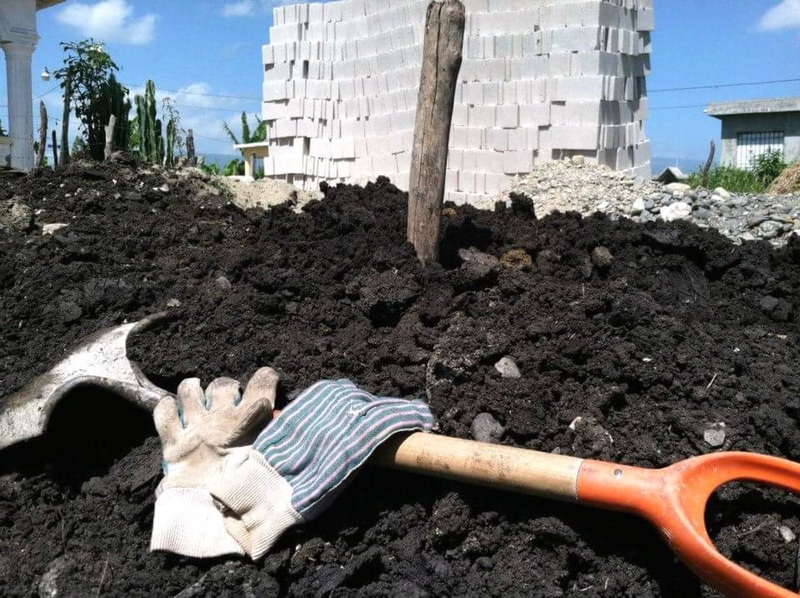 Two families in San Juan de la Manguana, Dominican Republic now have simple, decent and affordable homes to raise their families in and Alice, along with other donors, helped make that happen. It was my first time leaving the United States, my first mission trip and my first opportunity to see, hear and feel extreme poverty with my own senses. I haven't been the same since. Because of that trip, I decided that I didn't want to just be a team member on Global Village trips for Habitat for Humanity - I wanted to lead them. 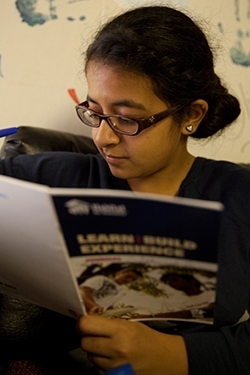 Today, I'm recruiting for my third Global Village trip as a team leader. Each trip has had its challenges, but they all met the needs of the families we worked alongside and did even more for our volunteers who left their families, jobs, homes, comforts and conveniences to toil in the elements of a different country on a mission to help someone who could never repay them. I think of her words many times when God places me in a position to show His love by giving or serving. Thank you again, Alice! You were right. No meetings are required. Doing the right thing should just come naturally. 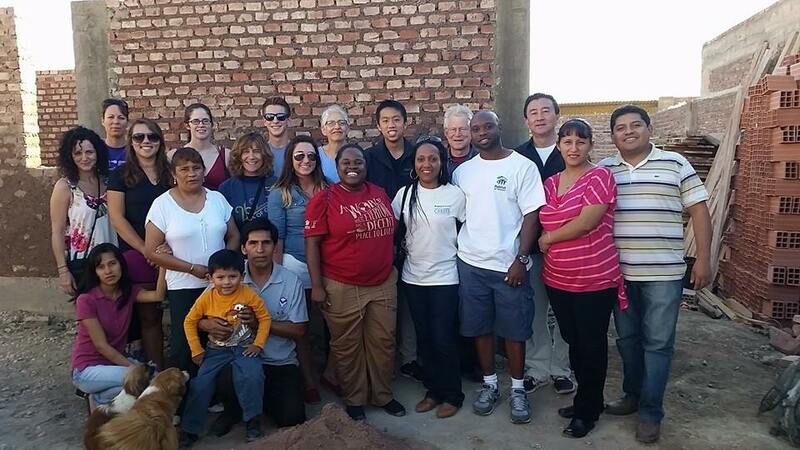 Our Habitat home in Bolivia is complete! During our Global Village trip to Cochabamba, Bolivia with Habitat Para La Humanidad, we worked on building this home with the Moya Family. The home measures 624 square feet and cost $14,240 US. The family made a $2,000 deposit, so their mortgage will be $214 per month over 6.5 years. The couple has one son and is expecting a baby later this fall. 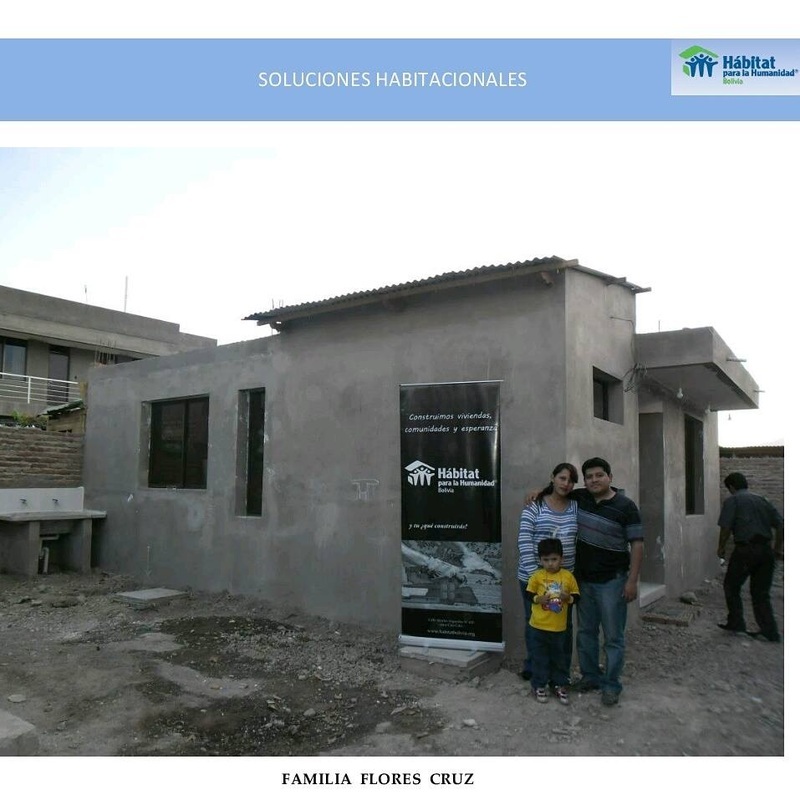 Congratulations to Marietty and her family on completing their home! My team of volunteers worked alongside them on the construction of their home in June and it's great to see what it looks like now. 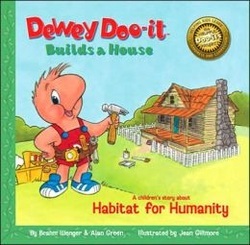 This is what I enjoy about working with the Global Village program of Habitat for Humanity. Not only do we team up with volunteers from various walks of life, help build a home using native construction techniques in the country that we visit, and get to immerse ourselves into the culture during our trip, but we also make a connection with the families that we partner with. It brings me great joy to see this family making their dream of home ownership come true! If you would like to get involved in my next Global Village trip, click here. You can donate, volunteer with me in Rabinal, Guatemala, pray for our mission and/or share this page with others who may be interested. Either way, know that I sincerely appreciate your support in whatever form you give.